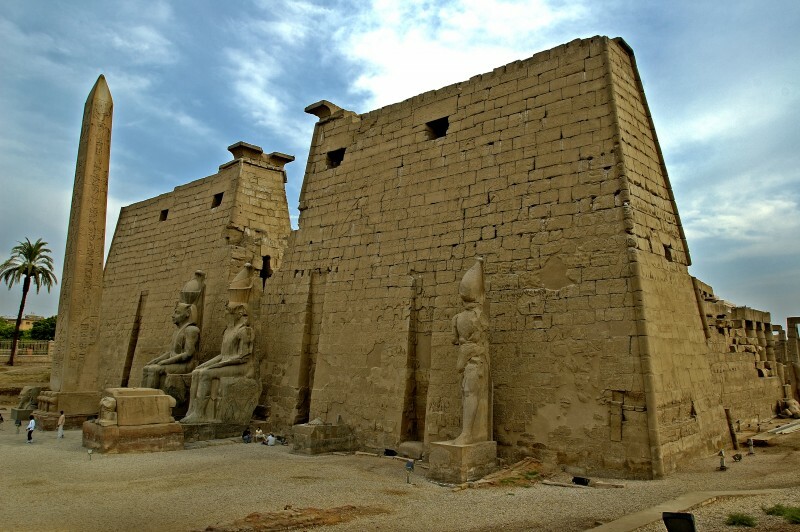 The City of Luxor in Upper Egypt is described as an ‘Open Air Museum’ due to it’s vast original Pharaonic sites on both East and West banks of the River Nile. 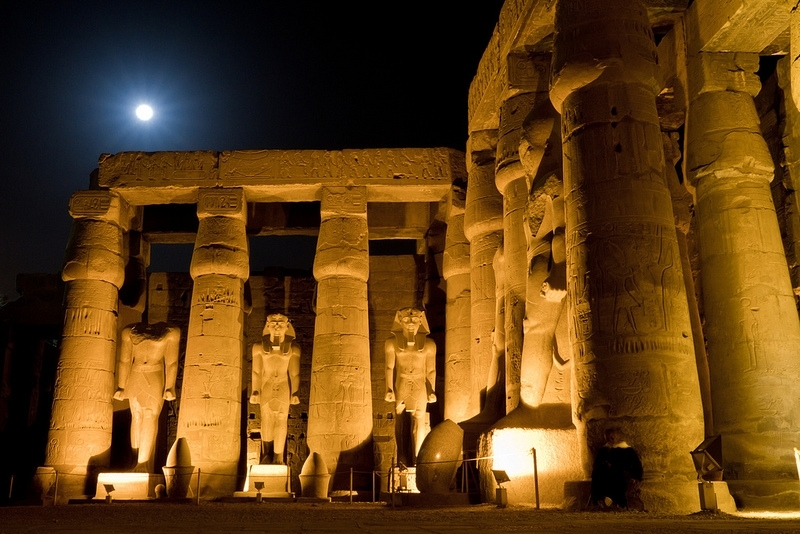 Luxor Temple sits right in the heart of Luxor City which was once known as the ancient Capital of Thebes. 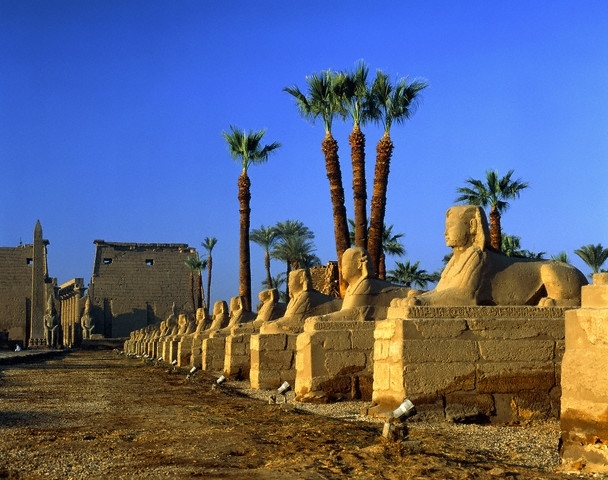 The two grand Temples of Luxor are both Luxor and Karnak Temples linked by the ‘Avenue of Sphinx’ which has recently been renovated. 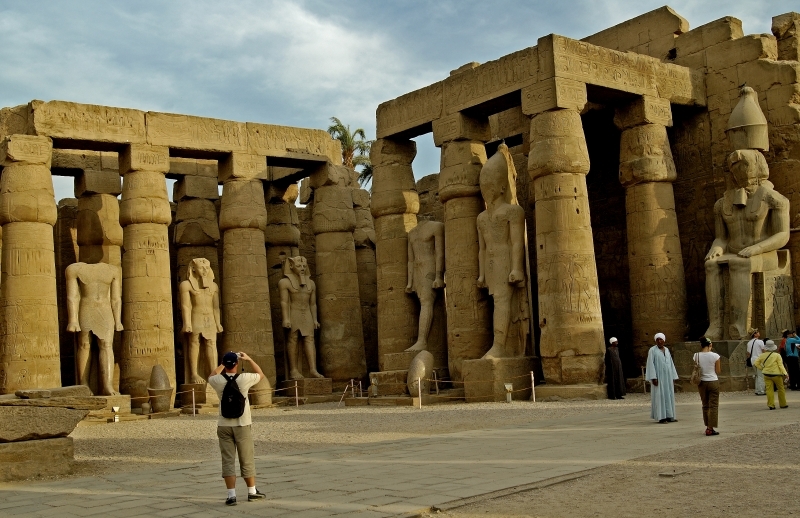 A one hour flight from Cairo, 3 hours by road from the Red Sea resort of Hurghada, and 3 hours by road from Aswan, Luxor is easily accessible by many transport links including trains between Cairo and Aswan. 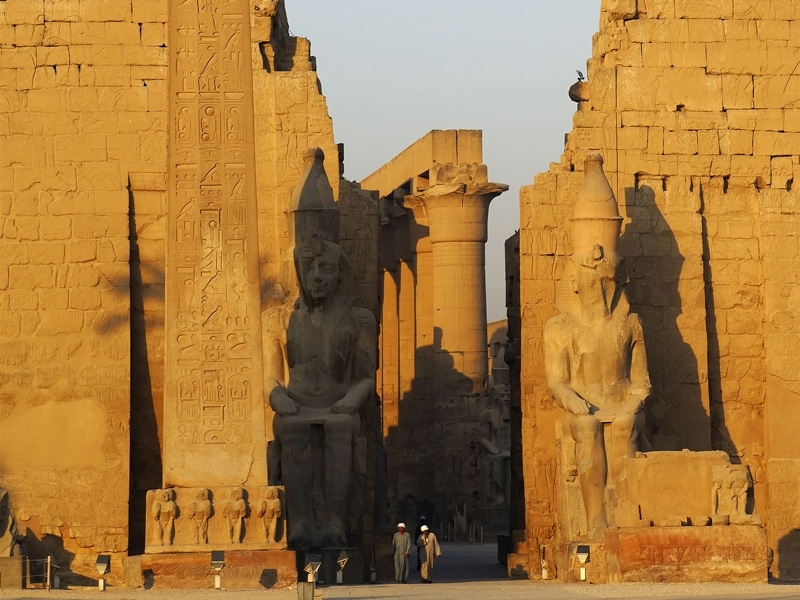 Luxor Temple has undergone several expansions through the ages and was built by just one pharaoh, Amenhotep III (1390-1352 BC). The walls are decorated with some of the finest carvings in Egypt, protected because much of the Temple was buried until 1885. Before excavations, only the heads of the Ramses II (1279-1213 BC) colossi and the tips of the obelisks stuck out above the pile of debris on which Luxor Village was built. The village was removed bit by bit as the excavations started, but when it came to destroying the tomb and mosque of Luxor’s patron saint, Abu al Haggag, the people refused. As a result, the pretty mosque now perches awkwardly on top of the excavated Temple. 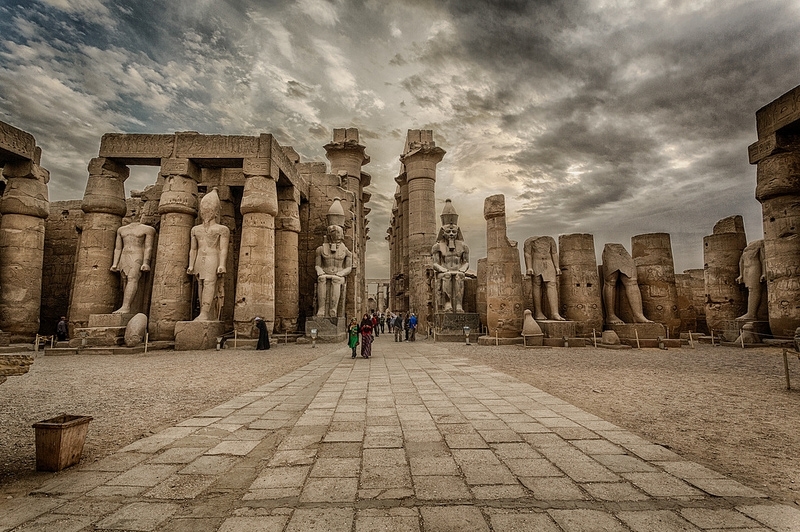 The Avenue of Sphinx’s leads to the monumental First Pylon built by Ramses II, which was once fronted by two obelisks and six colossi of the man himself. One obelisk and two of the statues were taken to France in the 19th century, but the remaining ones are still very impressive. 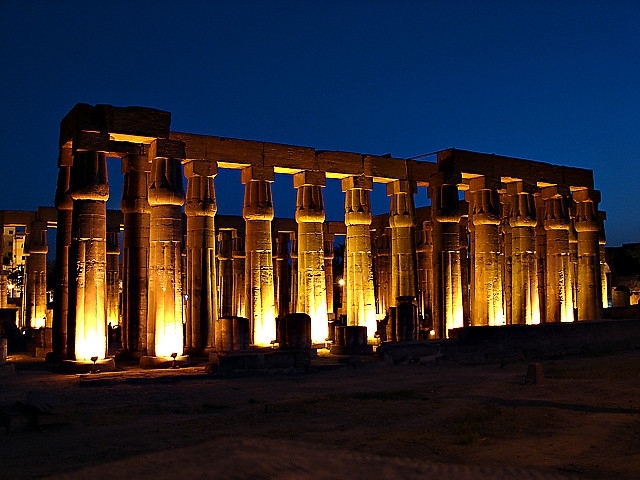 The pylon is decorated, as so many other Egyptian Temples, with Ramses II’s favourite story, the Battle of Qadesh. Beyond the pylon, the large Court of Ramses II is surrounded by two rows of Papyrus-bud columns, interspersed with more statues of the king. To the left of the court, the Mosque of Abu el Haggag hangs over the Temple, while to the right is the barque shrine that was used for the three statues that came from Karnak during the annual Opet festival. Also of interest on this side are reliefs of the temple itself and of a funerary procession led by Ramses II’s sons. Beyond the Second Pylon the impressive Processional Colonnade of Amenhotep III, with huge papyrus columns, was the model for the Great Hypostyle Hall at Karnak. The carvings on the walls were added by Tutankhamun and give a picture of the Opet celebrations: one wall shows the outward journey, the other the return of the procession.